Nowe zimowe menu w restauracjach North Fish | North Food Polska S.A.
From 8 January, there are new winter meals available at all North Fish restaurants – an excellent idea for lunch. The fish range has been extended to include two new pollock dishes. The first is for lovers of spicy flavours – it is served with slices of jalapeño peppers, cheddar cheese and tangy onion sauce. The second version of pollock comes with our own original leek sauce, which gives the fish a unique character. The sandwich range now includes the winter Fishburger, with a piece of pollock fillet in batter, pickled cabbage, a delicate potato pancake and herb and garlic sauce. All this is inside a roll baked in-house. North Fish restaurants have also enriched their menu with a seasonal cheese soup prepared using vegetable stock and served with crunchy croutons. Some tasty snacks have also appeared on the menu – Fish&Chips with battered black cod pieces, a portion of chips with skins on and Tartar sauce, and Rösti, which are fried potatoes balls in a choice of mild and spicy versions. 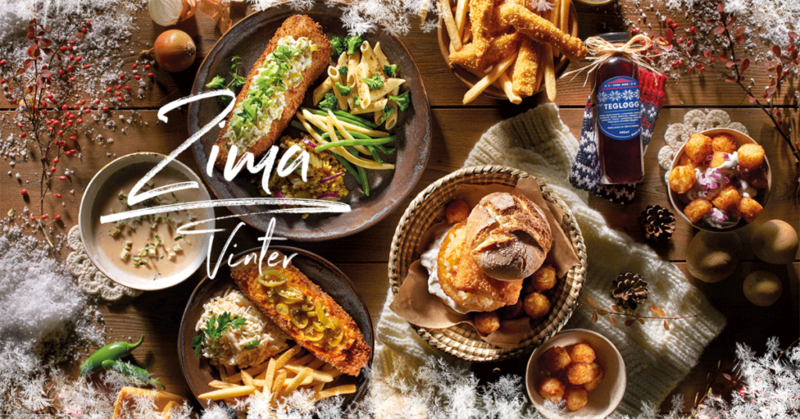 The winter offer at North Fish restaurants lasts until 4.03.2018.